(Question 1) Why did Pittsburgh Corning close their United States manufacturing plant making glass blocks? Could this plant closing have been stopped? 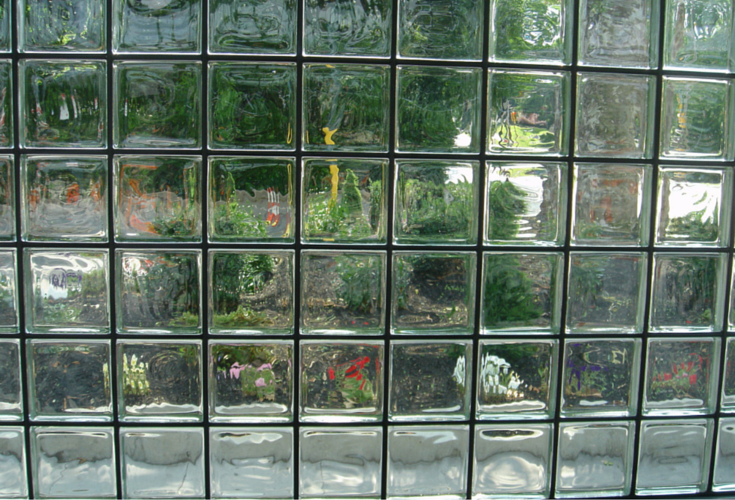 (Question 2) I already have a window, shower wall or commercial project made with Pittsburgh Corning glass blocks (or was planning a future project with P.C. materials). What should I do now? (Question 3) What is the future of the glass block industry? Can I still use this product for my home or commercial building? What do the product options look like without Pittsburgh Corning in the market? Is the future of this industry bright or bleak? I’ll explore this decision Pittsburgh Corning made (now almost 3 years ago) and give you a feeling how the market has evolved today. Question 1 – What reason did Pittsburgh Corning give for leaving the glass block business? Would a different result have been possible? According to the Pittsburgh Corning’s Global Vice President John Caverno their glass block business had been unprofitable for 8 years because it never recovered from the crash in the housing market and foreign imports were hurting their business. These 2 problems cited by the company beg the question – why did this company not recover from the housing market which was slow several years ago? Why were they hurt by foreign imports when historically they have been the market share leader? First let’s look at new home and remodeling markets. The remodeling, new home markets and commercial construction markets today are enjoying a resurgence. 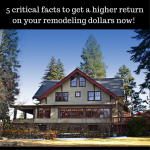 You can notice this by seeing how long it takes to get a contractor out to your home for an estimate. Interest rates are near historical lows and the new home builders who survived the housing crash which started about 8 years ago are busy again. The Residential Remodeling Index (RRI) which bottomed out in 2010 and 2011 is now 3.1% higher than its all-time high which occurred in 2007. In a nutshell construction has been on an upswing. Lack of investment – Pittsburgh Corning’s plant and equipment had gotten old and instead of reinvesting they continued to produce in an antiquated plant. Theystarted looking for a buyer (too late) and their market position deteriorated before anyone provided an acceptable offer to purchase the business and rebuild the Port Alleghany plant. Basically – they lived ‘high and mighty off their past laurels – the world past them by – then they imploded (not a pretty picture, but true – IMHO). Lack of residential market-driven innovation – New product ideas need to come from customers who use or specify the product. While Pittsburgh Corning developed new items over their final 8 years the most important residential advancements have come from foreign manufacturers (products like thinner glass blocks for showers, colored glass blocks, textured and 3 dimensional blocks – see question 3 for more info on these products) were not embraced by this United States manufacturer. They did develop some interesting products for the architectural markets (like tornado and blasts resistant windows) but their products for consumers and new home builders have been mostly stagnant. They fell behind the times. The foreign companies started kicking their butts. 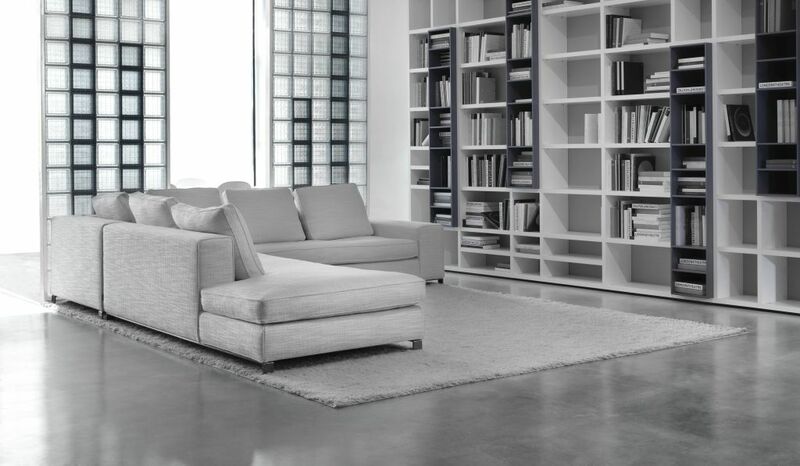 Check out below the thinner glass blocks and minimalistic and modern glass blocks made by foreign manufacturers today. Lack of love – You may be asking what does love have to do with a serious manufacturing business? Well all customers want to feel appreciated or loved – whether they are a big or small buyer. For many years Pittsburgh Corning controlled the United States glass block industry and didn’t fully appreciate its distributors who install and supply glass blocks to homeowners and commercial businesses. I was once told by a V.P. of Sales if I wanted to choose another supplier for our glass block purchases he would have another company in my market ‘so fast my head would spin.’ (I always remembered that – and not in a fond way either). This caused a number of high level distribution customers (including one of my businesses) to buy from foreign manufacturers who treated them better and offered products focused on the residential market (like the thinner series wall blocks). In my opinion if Pittsburgh Corning had invested in their plant sooner, developed more products for the new home and remodeling markets and worked better with their distributors I believe this plant would still be operating today. 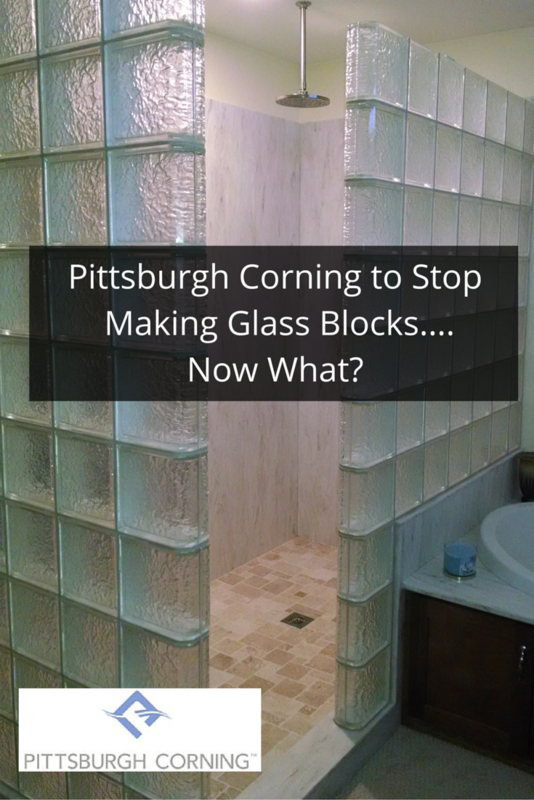 Question 2 – I already have Pittsburgh Corning glass blocks in my home or commercial building now, what should I do now? While many of the foreign glass blocks have similar patterns to Pittsburgh Corning (for example the “wave” pattern from Mulia Inc, an Indonesian manufacturer, looks similar to P.C’s “decora” pattern), their blocks are not a perfect match. The sand (a key element in the manufacturing of glass) of each country will create a different hue for the blocks and the patterns inside the glass are slightly different. What I would recommend would be to call a former P.C. distributor or dealer and pick up some extra glass blocks and store them away in case yours are broken or vandalized (since this article was written 3 years ago there are very small supplies left – I know a few places you can get these blocks, but they are becoming a needle in a haystack). While it is possible common pattern blocks (like the Pittsburgh Corning “Decora” pattern) could be made in the future it is in my opinion unlikely since the foreign companies have patterns similar to this already (in fact, 3 years later no manufacturer has made the old Pittsburgh Corning patterns – with the exception of Vistabrik – discussed below). 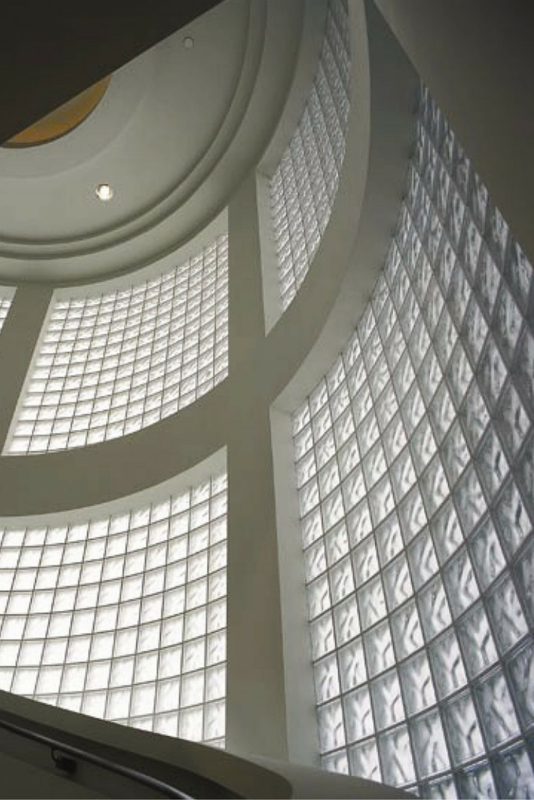 For some of the commercial pattern glass blocks (like solid Vistabrik glass bricks or 90 minute fire rated glass blocks) there is one manufacturers – Seves Inc. who has introduced a “Vistablok” based on the Pittsburgh Corning old specifications. For these products my prediction is Pittsburgh Corning will at some point sell their molds and technology to one of the existing foreign companies. In the short run I would recommend any architect or builder with a project needing this material get their order placed now. Question 3 – What is the future of the glass block industry like? Can I still use this product for a residential home or commercial building project? What do the product options look like without Pittsburgh Corning products being available? 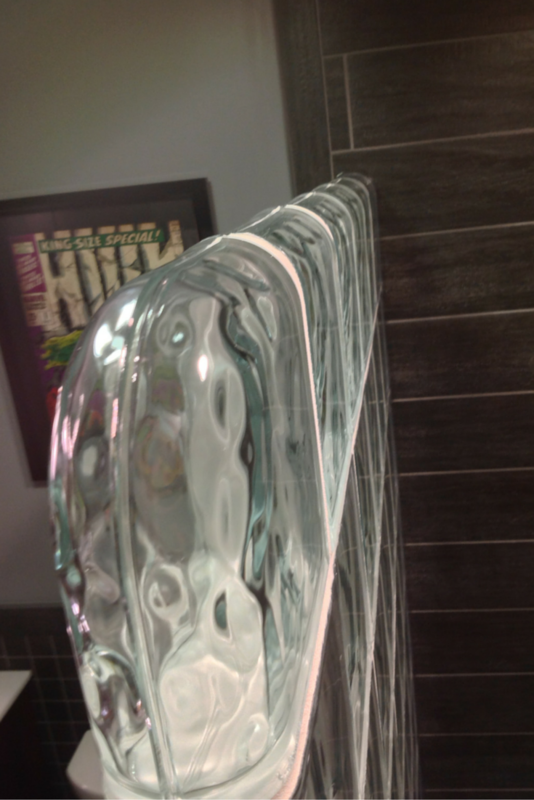 Thinner glass blocks for shower and partition walls – While Pittsburgh Corning did not want to make thin glass blocks for walls (3 1/8” thick vs. the traditional 4” series) because their profit margins were better on the thicker blocks the Indonesian manufacturer (Mulia) has been making them for about 3 years. 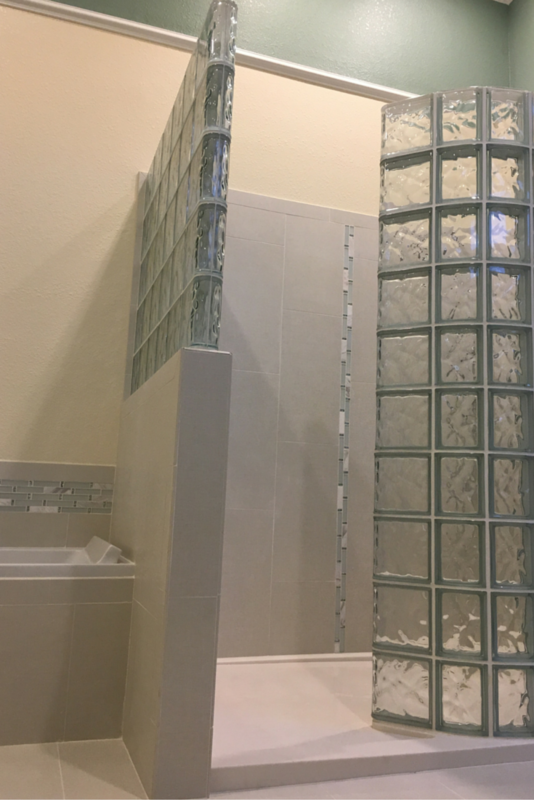 This product is not only more cost effective for the homeowner but it provides more room in a shower (if you’re shower is tight you know how important this is). These thinner shower blocks now are 90% of my business from 0% three years ago. If you refuse to make products which make more sense for customers (like Pittsburgh Corning did refusing to make the thinner blocks, you may end up with enough customers in the end and out of business!). Colored glass blocks – In the old days of the auto industry all cars were made in one color – black. The auto industry found out people like variation and therefore cars with different colors were introduced. While clear (non-colored) blocks are by far the largest portion of the market, the use of colored glass blocks (which is popular in Europe and Asia) is seeing tremendous growth in the United States. There are even colored and frosted blocks for added privacy. There are now over 100 different colors of blocks available in stock in the United States – this is waaaaaay more than when Pittsburgh Corning had 3 colors. 3D textured and patterned glass blocks – Glass blocks are unique in their ability to not only separate spaces but to do it with a sense of style. 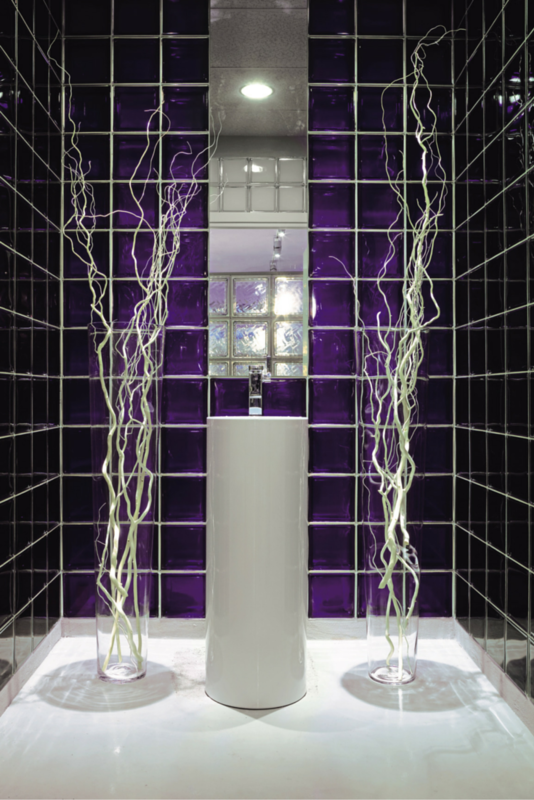 Now an inventive new product from Seves Inc. allows 3D textured glass walls as well. How cool is this? While things initially seem “doom and gloom” when a supplier leaves the market as I tell my kids “things are not as bad as they seem when they are bad or as good as they seem when they are good.” Stability is comforting – but markets and products advance and if companies don’t advance with them they can cease to exist. The good news is several manufacturers are stepping into space left by Pittsburgh Corning and introducing exciting new products and increasing their marketing investments in the United States. If you have some old Pittsburgh Corning blocks or need some specialty commercial glass blocks call the numbers below and get some replacement blocks while they last. If you are thinking of a glass block project don’t be afraid – the market is flush with new products which are rejuvenating this product. For more information or a nationwide factory direct supply source call Innovate Building Solutions (877-668-5888) or for a local installation project their divisions including Columbus Glass Block (614-252-5888), Cleveland Glass Block (216-531-6363), West Side Glass Block (216-398-1020) or Mid America Glass Block in Akron (330-633-2900). Steve – we do have (or can get) the Pittsburgh Corning 90 degree angle blocks (they called them a Hedron and also an end block. Now Pittsburgh Corning only made those blocks in a 4″ thickness so the thin line units you have will not be compatible with them. Feel free to call me for more insight. Mike – 877-668-5888. Hello. I have about 80 of the Pittsburgh Corning 8″ Decora Thinline glass blocks and I am in need of (10) Veer 90 degree blocks, (23) End Blocks and (1) Double End block. Would you have any of these that you would sell or know of a source where I may find them? I know they are discontinued. I’m trying to finish a small project. Thank you. Universal Truth, applicable to all species and organizations, to which there has never been an exception in all of time: Failure to adapt to a changing environment will result in extinction. Dang irksome. I’m glad I thought to buy extra glass blocks years ago for my lighted exterior driveway circle, but bummed that our planned shower wall will not have the same Made-In-America blocks…. Don – yes the other manufacturers do you have similar products (not exactly the same – but we can accomplish the same styles of walls and windows). You can feel free to reach out to us for help with your project by calling 877-668-5888. Mike, I am surprised to hear this straight out of the horse’s mouth, when I called direct to PC. My question is these other manufactures, to they carry or manufacture same line of products like the Tridron, Hedron, or the End Block and corners? If so where are my points of contact? Feel free to call our office at 877-668-5888. Lillie or one of our team would be glad to assist you.